Tisa M. Anders is an independent historian and Founder/CEO of Writing the World, LLC in Denver, Colorado. 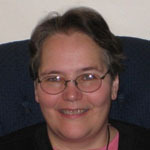 She received her Ph.D. in Religion and Social Change with history as her foundational discipline at the University of Denver/Iliff School of Theology. Additional educational achievements include her B.A. and M.S. from University of Nebraska at Omaha and Master of Divinity from Iliff School of Theology. She has authored numerous book reviews on history and international relations along with chapters for anthologies on Mexico-US Migration with a focus on the Betabeleros (Mexican and Mexican-American beet workers) in Western Nebraska. Anders specializes in agricultural history, 19th century US reform movements, and oral history. She is completing her book-length manuscript on 19th century US activist/author, Lydia Maria Child, as well as journal articles on Junius G. Groves (1859-1925), African American farmer and entrepreneur from Kansas.